Anja Community Reserve nicknamed “Anja Park” is a great place to see ring-tailed lemurs in troops. It is the most visited community-run protected area for the lemurs and the landscape is incredible with the backdrop of granite rocks. 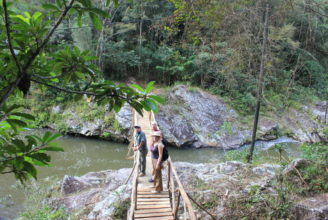 You can take a 2 hour walk around the 30-hectare reserve to see the ring-tailed lemur families and varieties of flora. You can also see some Bestsileo tombs here. Escape the hustle and bustle of the cities and relax on your private terrace with a commanding panoramic view of the Ranomafana National Park. 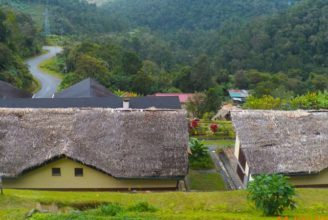 Setam Lodge will make you feel at a total quietness and serenity. Ambalavoa is famous for Antaimoro paper-making and you can visit the paper factory. You can interact with the workers and try your own decoration with inlayed flowers, leaves and petals. 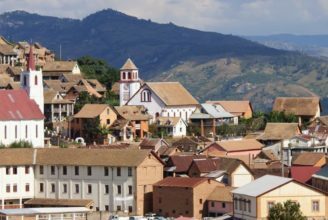 Fianarantsoa once used to be the administrative capital during colonial times. The name Fianarantsoa means "the place where one can learn something good” and was given by Queen Ranavalona 1st honouring the many academic institutions and reputed schools that are based here. 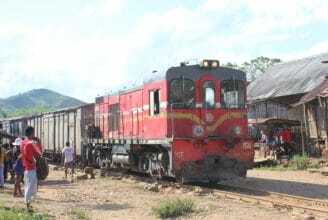 This spectacular route teeters along viaducts, crosses more than 60 bridges, cuts through steep-sided jungle valleys and speeds down the world's third-steepest railway incline. Explore the wonderful rainforest of Ranomafana; a conservation success story in many ways. Today Ranomafana plays a crucial role in education and scientific research with the help of Centre ValBio Research Centre.